The SEO business is surrounded by myths, self-proclaimed gurus and plenty of misinformation. Whatever you think you understand about the link building process today may not be true tomorrow. That said, if you’re conducting your link building campaign based on old news or what used to work, you could end up doing more damage than good. Here are the most common foul-ups I’ve come across both by do-it-your-selfers and outdated SEOers. Starting your link building using anchor text for your most competitive keywords. There might be a time to use them, but certainly not at the beginning of the link building campaign. Your goal is to work towards getting those keywords to come up both by having content relevant to those keywords on your site and by using long tail keyword variations of those terms, which will be much simpler to rank for. Reacting to a ranking drop by going nuts building anchor text links for that term. Google is laughing at you. You’ll see your ranking for a term rise first in Bing. Sometimes a drop in ranking in Google occurs at the same time. Be patient. Wait another week or two to see what happens to the ranking. Fluctuations are natural. Google is just waiting for spammers to pound the keyword so they can drop the ranking further. Don’t fall for it. Publishing your site’s content on another website. Despite everything written about duplicate content since the Google Panda update, I still see people doing this. Write unique content for other sites – content that good sites will want to share and quit writing junk that is nothing but fluff surrounding your keyword. No self-respecting blogger wants it. Building links only to 1 page on the website. Every page on your website is a doorway for visitors to enter. Each one can show up in search and should do so for its own keywords, so why are you building every type of anchor text back link to the home page? It isn’t natural and the search engines know that. Building the wrong links. Do not fall in the paid link trap. 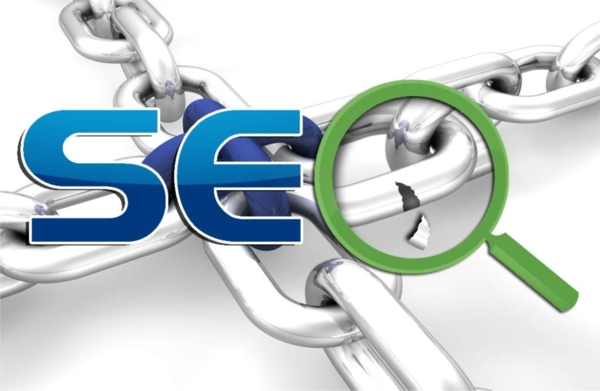 It may take a lot more work to secure a good link, but a good link from a quality site is better than a paid link which cost you money and will get devalued or land you an unnatural link warning in Google Webmaster Tools. Using the same anchor text and too much of it. If there’s anything you can do that will raise a red flag quickly, this is it. Make a list of all the different variations you can use for your keyword. That list should include synonyms, plural and singular forms and additional, descriptive words. Into the mix, throw in “click here,” “visit site” and straight up html links, varying the www and non-www versions of the page. Have patience. It is far more rewarding to do things slowly and see steady growth than to hurt your website and have to unravel the mess, which could take even more time. Theresa Happe works with Name Find where you’ll find more business website tips, social media advice, and marketing ideas.